complexities, so you can focus on your business. As a business partner, not just a vendor, we can dive into the specifics because we too have been responsible for loan originations, loan processing, settlement and closings, and vendor management. Signing agent documentation and background checks are reviewed and approved prior to activating them. Performance Scores updated after every signing based upon turn times, quality and fees. We invest in training and testing of our signing agent partners to ensure they’re familiar with industry- and customer-specific requirements. Most signing companies offer services that fit in one specific box, providing the same product over and over to all their clients. But what happens when your company grows, and your needs no longer fit in that box? Who handles the rest? As a dynamic partner we work with you wherever your company is at in its growth, to offer customizable services tailored to your business needs today and tomorrow. With The Closing Exchange, our partnership goes far beyond the four corners of a contract. We work hard, all the time, so you don’t have to. Are you ready for a vendor that does it all? Order Management made simple, efficient and secure. Easily place orders, upload documents and monitor progress in real time - while guiding customers each step of the way - for secure, end-to-end, delivery. Vendors are quickly assigned according to customer's unique needs, with notification updates and pre-closing calls for full transparency. You can depend on The Closing Exchange's unmatched quality, coverage and security. We were the first service provider to receive the American Land Title Association (ALTA) Best Practices Certification. Technology is at our core and fuels the services we offer you and your clients. The Closing Exchange platform enables user-friendly order placement, tracking, communication and status updates. 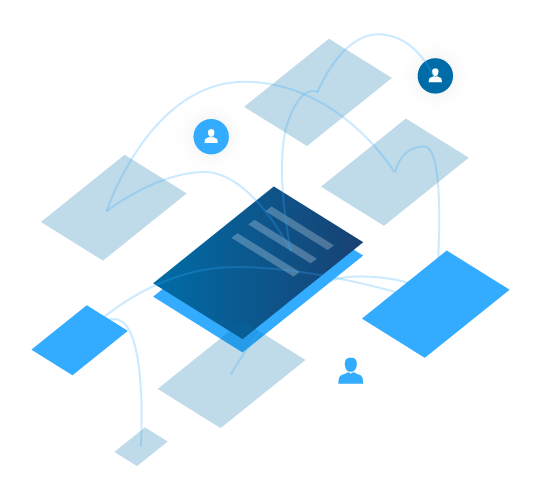 Our service model is configurable to your workflow, delivering customized vendor selection, call scripting, training & testing through our platform. We offer direct integration and seamless connectivity to the leading title production applications. Our team is here to show you how we can help.